Combine sound absorption with unlimited design potential. 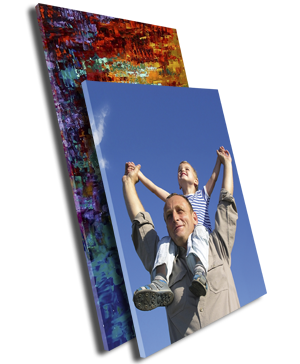 With Deco Print™ Panels, you can transform an acoustic panel into a work of art featuring a digital picture – or a functional billboard with your logo or advertisement. Use a single panel for an accent or combine multiple panels for impact. Deco Print™ Panels can be wall mounted, ceiling mounted or hung as a baffle or cloud. All the SiM Panel™ cores and edge types can be used to create an acoustic and aesthetic masterpiece. Your digital artwork or purchased stock images can be used. Refer to the image guidelines on the spec sheet for more details.